Tudose cabinet’s intentions to transfer the burden of social contributions payment upon the working people starting from 1 January 2018 provokes growing resistance in Romania. According to the project for emergency government order, through which the Fiscal code is to be changed, social contributions on one hand will be reduced from 39,25% to 37,25%, but on the other hand the employer will have pay a solidarity tax to the extent of the reduced 2% (that is why social contributions in fact are not reduced). Employers will have to pay only the contributions for unemployment, labour accidents, illness leave and the transfers to the Fund for guaranteeing of salaries’ payment. Out of the 22,25% of the gross salary that the employer currently pays, 19,75-20% will go to the employee and only around 2-2,25% will remain for the employer (the difference is due to the unclear definition of amount of contributions). Labour unions criticize the measure, claiming that it violates a basic principle in relations between employer and employee – solidarity in their responsibility to social security. It is a big problem that the measure will lead to a net salaries’ fall with up to 26%, if it is not combined with rise of the gross salaries. However, no employer has accepted an obligation for payments’ rise. Tudose’s government announced intention to lower the income tax from 16% to 10% and to raise the minimal salary from 1450 lei (316 euro) to 1900 lei (414 euro), so that it could compensate the fall of the net income. But even if these measures compensate for the losses in the net income, only some categories of people will benefit from the overall operation, while others will remain with smaller income. Employers’ organisations are content with government’s intentions, declared PM Tudose after a trilateral meeting with employers and syndicates. As a result of the changes, employers’ burden in contributions payment will be significantly lowered. The disbalance in economic strength between labour and capital, which is currently significantly to the benefit of employers, will grow additionally with the concomitant effects – rise of inequality, erosion of solidarity, growth of social insecurity and so on. Social democrats claim with determination that everyone will gain from their initiative, but labour unions have a different opinion. The National Confederation of Free Syndicates in Romania “Brotherhood” has already declared that it will organize a general strike, and it remains to announce when exactly it will take place. The labour union “Brotherhood” has a few hundreds of thousands of members in spheres such as health care, communications, transport and logging. Besides, there will be a protest on 7 November amidst the work day in the key company for the Romanian economy “Dacia”, because of the intended changes of the Fiscal code. It is expected that around 10 000 workers from the automobile sector join the protests. Another important labour union – Cartel Alfa – has asked president Klaus Iohannis to intervene as a mediator in the dialogue between government and labour unions. The government belongs to the social democrats, while Iohannis has the support of the right forces. He criticized the cabinet’s initiative, but made declarations, which in certain moments sounded as if he supports the intentions that are to the benefit of the employers. Iohannis has observed that “at first glance the measures look fine”, but his further analysis uncovers problems with them. E.g. the transfer of social contributionsto employees is not complete, but only partial, as “a solidarity tax” for employers will be applied. If the medium salary in Romania is taken as a basis for calculations (3300 lei gross, 2335 lei net – 718 euro gross, 508 euro net), as a result of the fiscal reform it will grow by 3 lei (0,65 euro) or with 0,1%. Of course, Iohannis warned the government not to enter in an adventure, he mentioned the European Commission as an authority and underlined that Romania loses its predictability in politico-economic plan, because of the government’s “revolutions”. In fact, influential organisations of capital such as the Council of Foreign Investors or the consultancy firm Deloitte have also expressed their reserves towards the changes: that they will be undertaken without a government evaluation how they would influence any of the parties in the economic relations, that they will make the organizational and accounting activity more difficult, because they change basic fiscal parameters and so on. “Platform 100” – the political initiative of the former prime minister technocrat Dacian Cioloș also came out with criticism: ”The salaries’ increases with 20-30% that were promised during the election campaign, remain only on paper. In short, through arithmetic hocus-pocuses salaries grow without growing, and taxes are lowered, without being reduced (levels of taxation fall, but the taxes to be paid are not smaller). The current system of contributions’ sharing between employee and employer has the advantage that it offers the state the chance to apply better aimed economic measures in accordance with economy’s evolution”. The “Platform 100”’s remark is worthy of greater attention, because social democrats received an excellent result at the parliamentary election in December 2016 due to their promise of a combination between raising salaries and lowering taxes. However, they had to deal with an originally undeclared budget deficit that was left to the government by Cioloș’s government (October 2015 – January 2016). They noticed that the income in the treasury is not sufficient so that they could realise their bold intentions for rises in the people’s income. In the summer social democrats announced a few times bombastic ideas for fiscal changes – e.g. the replacement of the corporate tax with a turnover tax. But until now their initiatives have always turned out to be „storm in a glass of water”. What matters for social democrats now is to realize at least one initiative of their own in the sphere where they promised to do changes – income and fiscal system. Even though they portray themselves as loyal to the national capital and to the labour people, social democrats, according to an old tradition from the times of transition and privatization serve most of all the foreign capital. It is expected to be the main beneficiary of social contributions’ transfer to employees. This change will be just another preference for it, after through the years a lot of foreign firms started not to pay profit tax, so that Romania’s gain from their activity gets limited mostly to salaries’ payment and job creation for the local population. However, social democrats’ opponents are also famous with their capitulations before the foreign investors’ will. In 2011 the conservative government of Emil Boc changed the Labour Code and the Law on Social Dialogue in accordance with the desires of foreign investors, and most of all with the demands of the American business in the country. The introduced changes limited workers’ abilities to organize in labour unions, to negotiate and sign collective work contracts at the level of firm, sector or nation. 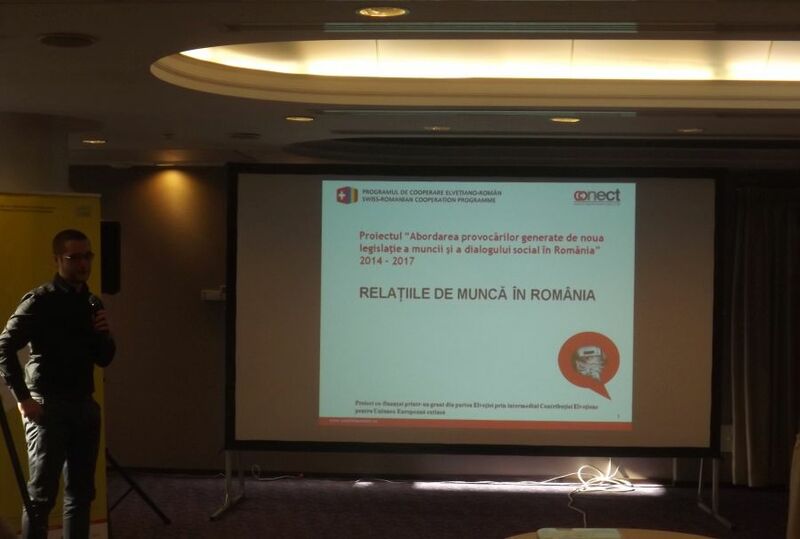 The impact of legislative changes, introduced in 2011, was in the focus of labour union leaders, experts and employees who participated in two discussions in Bucharest on 30 October 2017 – about social dialogue and labour rights of freelance workers in the so-called creative sector. 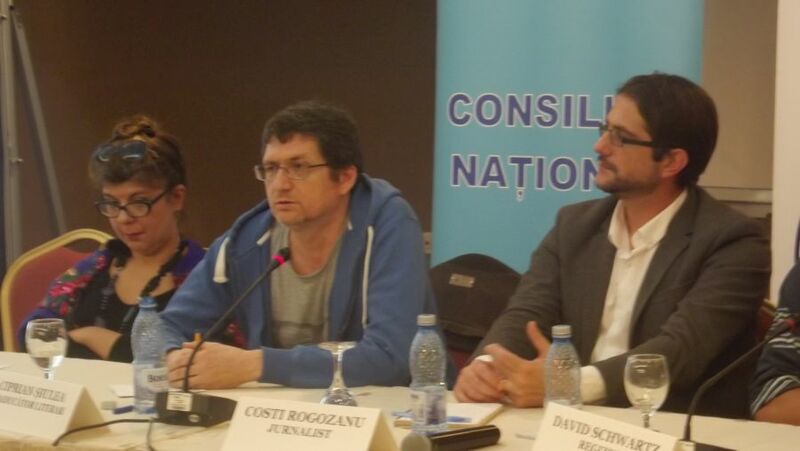 These discussions were organized by the association Conect and were supported financially by the Program for Swiss-Romanian cooperation. They unveiled data about the precarious state of labour in Romania. As a part of discussions two documents in their second edition were presented – the sociological and juridical “Analysis on the impact of legislation about social dialogue, that was enforced in 2011” authored by consultant on social policy Ștefan Guga and lawyer Camelia Constantin and the report „Atypical abour in Romania”, written by Ștefan Guga. The present government’s activities, which claims to be “left”, are part of a longer tradition of policies against labour and to the benefit of capital in Romania. Labour code and social dialogue law reforms in 2011 stipulate that a labour union organization can be established only if at least 15 employees of the same firm are its founding members. Guga clarified that 92% of the firms in the private sector have below 15 employees, so that people there can not organize labour unions. It is believed that collective labour contracts offer a better protection of labour rights. But according to the data in both reports only 7% of these contracts have been signed by labour unions. 93% of the collective labour contracts have been signed by the employer and so-called representatives of employees. This is a formula which has been introduced in 2011 with the aim to weaken labour union activity, explains the site of the campaign “ServiciUșor” of Association Conect. Labour unions can receive support in their negotiations with employers by the federations and the confederations where they are members, while employees’ representatives are alone before the managers and the owners of firms. Labour unions can also represent their employees in disciplinary commissions, before the courts and in other state institutions, while emplyees’ representatives can’t. Labour unions can support materially their members in their work acitivity, to organize trainings for them, while employees’ representatives can’t. These representatives also can’t sign collective labour contracts at national or sector level. Labour unions can’t sign collective labour contracts at national level after the changes in 2011 too, but they can do it at the level of sector. The procedure for selection of representatives is not clear and it is theoretically possible that members of the Human Resources departments of a given firm to enter in this group of representatives. 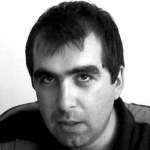 It is true that the minimal salary has doubled in Romania in the last ten years. At this moment the country marks the greatest rise of salaries in the EU. At the same time 32% of the full-time employed work for a minimal salary. This means that the rise of the medium salary is not so representative of Romanians’ rising welfare. It rather shows the growing inequality between people with higher income and the mass that lives with minimal income. It is not coincidental that social democrats insist on raising the minimal salary so that they could repay their electorate – people of the smaller towns and peripheral quarters of the big cities, who have smaller financial power. Insecurity dominates labour market also with regard to people who have higher education and come from the cities, in other words people who don’t seem to belong to a risk group. In 2016 24% of the signed labour contracts have been with a fixed term. A lot of actors work with this kind of contracts and with the even more precarious author contracts. During the discussion people who have knowledge about the actor profession have unveiled details about the ongoing exploitation in some of the most prestigious theatres. Young actors are made to rehearse without being paid and are put in a situation, when they can expect income only if after the unpaid rehearsals their play is put on stage. Even then they can hope to be paid mostly from the tickets, which are rarely sold in big quantities for plays that have not been promoted sufficiently. Actors are only one of the many professions where fixed-term labour contracts, leading to greater labour insecurity, are used. Various participants made the conclusion that the number of labour rights conflicts between employees and employers has falled drastically after 2011, because of the new economic conditions and because of the new legislative rules in labour relations. For a positive change to take place, the number of conflicts needs to rise. 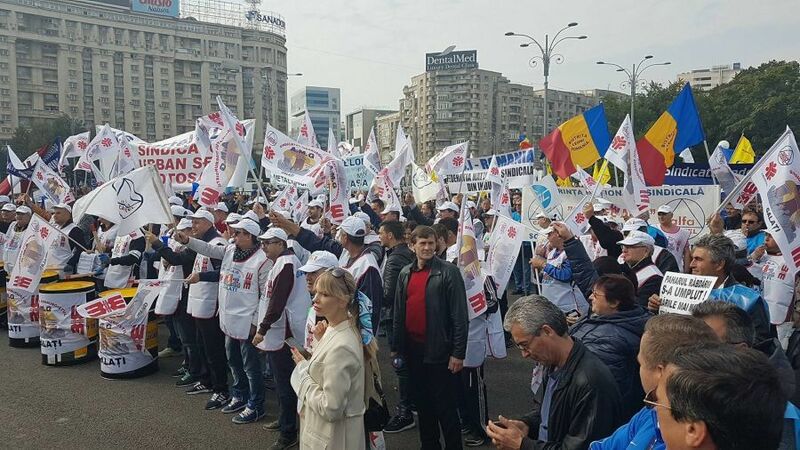 Labour unions’ intentions for strikes and protests fit within this necessity for fight in protection of the ever fewer labour rights in Romania. The lack of resistance would lead to a greater level of insecurity for the large number of Romanians that work in precarious conditions.